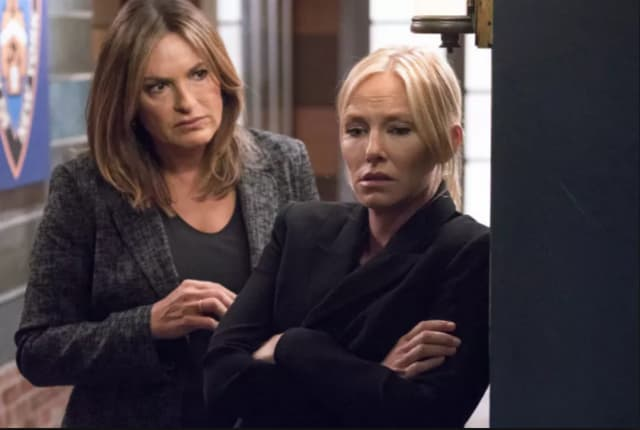 On Law & Order: SVU Season 20 Episode 7, Benson and Rollins are horrified by the case of a mother who brutally murders her children. Law & Order: SVU Season 20 Episode 7 revolves around a grisly triple homicide. When a little boy is found wandering around with major stab wounds, the police call SVU in to the bloody scene. His father and sister are dead and the little boy dies soon after. Suspicion soon falls on the nanny but when she is arrested, Benson believes she is innocent. However, there is enough evidence to hold her at Rikers. Benson keeps digging. Clues lead to a family friend and then finally to the mother herself, who confesses. Anna claims she killed her family because they were better off dead. She was unable to provide for them and knew she was about to get caught doing shady things with a shell company. She pleads not guilty by reason of insanity and is held on a high bail she can't pay because her assets have been frozen. Benson is disturbed by Anna's claims and the psychiatrist report. She believes that Anna should be punished. She finds out from the nanny that Anna said goodbye instead of good night the night before the murder, but is that enough evidence to convict her? To find out what happens, watch Law & Order: SVU Season 20 Episode 7 online.